Discussion in 'Masonic Blogs' started by My Freemasonry, Aug 7, 2014. The first order conferred by a Commandery of Knights Templar is the Illustrious Order of the Red Cross; in Chivalric Masonry, the term 'orders' is used rather than 'degrees,' but both refer to "the progress of a candidate toward the completion of his membership." In the Illustrious Order of the Red Cross, the candidate represents Zerrubabel and presents himself as a Royal Arch Mason to a Grand Council that just convened in Jerusalem to deliberate upon the unhappy condition of the country and which desires to find a means to secure the favor of King Darius in order to proceed with the rebuilding dealt with in the Royal Arch degree. The candidate is detained and guided to the Persian court and reminds the King of his promises to aid the Jews in their work. Debate ensues and Zerrubabel boldly proclaims that Truth is on his side of the issue. So impressed with the speech, King Darius decrees his support for the continuation of the rebuilding, establishes the Illustrious Order of the Red Cross founded up on Truth, and confers it upon Zerrubabel. This legend is based upon the accounts found in the Book of II Esdras in the Apocrapha and in the writings of the famous Jewish historian, Josephus. This order is a transitional degree that bridges Royal Arch Masonry to Chivalric Masonry. The lessons taught encourage the constant search for Truth, and emphasize the importance of Liberty and Justice with a right to worship Deity under whatever name he may be called. Historically, elements of this Order were practiced in Ancient Lodges before the final form of the Master Mason Degree came into use. It is still practiced in the full ceremonial form by the Knight Masons of Ireland and the Knight Masons of the United States, and as the Red Cross of Babylon in the English Order of the Allied Masonic Degrees. The degree is conferred in a "Council of the Illustrious Order of the Red Cross" which is presided over by the Sovereign Master, and supported by other officers, and will create a "Companion" of this Order. This Order, in American, has been under the control of the Grand Encampment of Knights Templar of the USA since its founding. The Banner of the Order of the Red Cross is green with a 7-pointed star at its center. Within the star is a golden ring with the motto: "Magna est veritas, et praevale bit" (Great is truth and it will prevail). Within the golden ring is a white circular field with a red Greek cross upon it. On each of the four arms is a letter which represents Deity, Truth, Justice, and Liberty. These will commemorate our faith in God and in the Grand Characteristics of this Illustrious Order. When studying the history of the Order of the Red Cross, it is important to note that there are a number of degrees that use the same name, but have no relationship with each other. How this order came to be in existence is not exactly known, but most scholars agree that it was first conferred in the American Colonies by Scottish or Irish troops. It was through the efforts of Thomas Smith-Webb and Henry Fowle that this Order survived and came to be attached to the American Templar system. Some have claimed that it was taken from the Scottish Rite, but according to Ward St. Clair states that this is erroneous and W.J.B. MacLeod Moore (Provincial Grand Commander in Canada) stated that after examining the ritual he concludes that the Illustrious Order of the Red Cross used in America comes from the Irish degrees known as "Knights of the Sword, Knights of the East, and Knights of the East and West," has given under the Templar warrants of Ireland, and the Royal Arch Chapters of Scotland." These names are not to be confused with the degrees, with the same name, found in the Scottish Rite. While Thomas Smith-Webb is seen as the main driving force behind the continuation of the Illustrious Order of the Red Cross, it needs to be remembered that it existed prior to his efforts. The first mention of the Order of the Red Cross is in the “Beaumont” diploma issued by South Carolina Encampment #1 on August 1, 1783 and which associated in with the Order of the Temple. Another record is found in New England where a certificate from the Encampment at Newburyport, Massachusetts, was issued to Hamilton Moore on February 16, 1796. Looking back at the history of the York Rite in America, we see that the earliest recorded conferral of the "four steps" on William Davis in St. Andrews Royal Arch Lodge occurred on August 28, 1769, but those four steps did not include the Order of the Red Cross. Some theorize that the Order of the Red Cross was brought to Boston through Benjamin Hurd Jr., a merchant whose travels took him to Europe. In St. Andrews Royal Arch Lodge there is no mention of the Red Cross until the minutes of February 3rd, 1797 reflect the efforts of Benjamin Hurd, Jr. to establish an association and that they be recorded in the "book of the chapter". It is theorized that while on a trip to Europe that Benjamin Hurd, Jr. received the Order of the Red Cross and brought it with him to Boston. He organized an "Association of Red Cross Knights” that was independent from St. Andrews. This group would reorganize into "Boston Council of Knights of the Red Cross." Then on December 21, 1805, it was disbanded and reorganized "Boston Encampment of Knights Templar" who took over the property and ritual of the Council of Knights of the Red Cross along with the Order of Malta and Order of the Temple. Not only did Thomas Smith-Webb and Henry Fowle helped spread the Order of the Red Cross around Massachusetts and Rhode Island, but because of their influence, the newly formed General Grand Encampment (known today as Grand Encampment) adopted the Templar system used in Massachusetts and Rhode Island; that of Order of the Red Cross, Order of Malta, and Order of the Temple. The Order of the Red Cross was a point of contention when the Sir Knights from New England and Pennsylvania came together to form a national Templar organization. 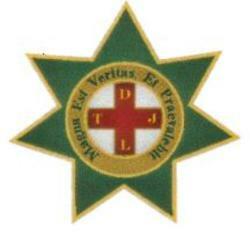 The Pennsylvania Sir Knights did not believe that the Order of the Red Cross should be included in the Templar system. The controversy over the Order of the Red Cross would continue throughout the 19th century. Many attempts were made to remove and eliminate the Order of the Red Cross from the American Templar system. Many condemned it for being a "Pagan and Jewish Rite" pushed into the orders of Christian knighthood. Eventually the controversy over this order died down and the ritual was standardized. 6. Scully, F. J. (1952). History of the Grand Encampment Knights Templar of the USA. Greenfield, IN, USA: Wm. Mitchell Printing Co.